Maclocks is very excited to offer a secure & unique solution for the new MacBook Pro 2018 with Touch Bar models, compatible with other models as well. The MacBook Pro 2018 lock by Maclocks is the First Universal Ledge Security Lock Adapter fits all MacBook Pro 2018 models. MacBook Pro 2018 will have a compatible cable lock slot that will work with Maclocks' security cable lock. No adhesive or alteration to the body of the MacBook Pro is needed, with no effect on the functionality of the MacBook. 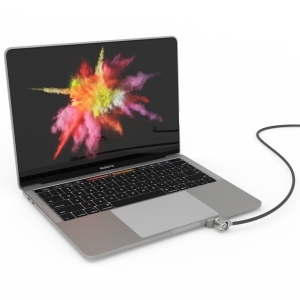 The slim design of the extremely secure lock slot adapter integrates seamlessly with MacBook Pro's minimalist appeal and is ultra-lightweight at less than 0.1lb so it adds minimal bulk and allowing for the MacBook Pro 13" or 15" to fit in a sleeve or bag. Click here to learn more about the MacBook Pro 2018 lock. 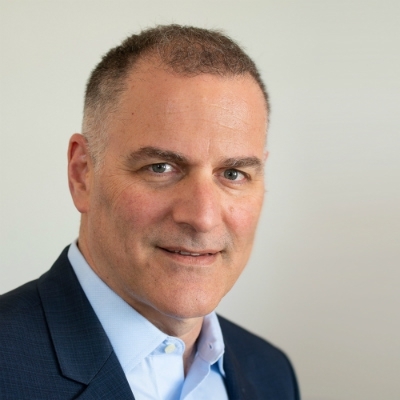 Gil’s appointment to Compulocks Brands is a direct reflection of the company’s current state, ready to take on the future and fired up after another strong year of growth and successful customers. Gil brings a global business experience with a strong emphasis on innovation. He comes from the Keter Group, where he was the managing director of Keter’s fastest growing business – the hardware division. His manufacturing experience, as well as retail environment understanding, will help Compulocks to establish its global leadership. We have been fortunate to partner with many unique companies and embrace the challenge of offering a secured solution for any setting. Alexander Gad, Compulock’s founder, and a true pioneer will devote his time and efforts as a full-time CTO. He will turn his love and passion to new technologies into more innovative lines of products. As Alexander Gad said: “I’m truly excited about this new chapter in our company history. Gil’s experience is a wonderful asset and we are happy to have him joining Compulocks Brands family. I’m confident that he’ll continue to strengthen and grow the business”. Compulocks Brands Introduces Secured Display Solution for the New 2018 iPad Pro 10.5" and 2018 iPad Pro 12.9"
On Sep 12th Apple will host a special event announcing new product releases. Most likely Apple will be introducing a new iPhone model, New 2018 iPad Pro 10.5" and iPad Pro 12.9". Compulocks Brands is very excited to offer the Cling Security Stand - a secure & unique display solution for the New 2018 iPad Pro 10.5" and iPad Pro 12.9", compatible with other iPad models as well. Cling Security Stand allows to securely display the new 2018 iPad Pro 10.5" or iPad Pro 12.9", as a POS or any other display applications. Cling Security Stand can be mounted on a Rise Stand available in a variety of heights ( 8 in/20 cm, 16 in/40 cm, 24 in/60 cm) and offering rotation, swivel and tilting mount head. Compulocks Brands is a leading provider of Apple hardware security solutions. Recently Microsoft announced the release of the new Surface Go giving you laptop performance, tablet portability, and a touchscreen with the power of Windows 10. The Microsoft Surface Go Lock by Compulocks can prevent theft in public places, thus protecting the actual investment, private or work related confidential information, especially in the new GDPR era. The Blade Surface Lock is compatible with all surface models, including the Surface Pro and Surface Go. The Blade Lock includes a retractable locking slot, which provides not only anti-theft protection, but also an ergonomic feature. By adhering the lock to the tablet, the lock can also be used as an ergonomic hand grip and provides an improved, more comfortable typing experience. Click here to learn more about the Blade Surface Go Lock.